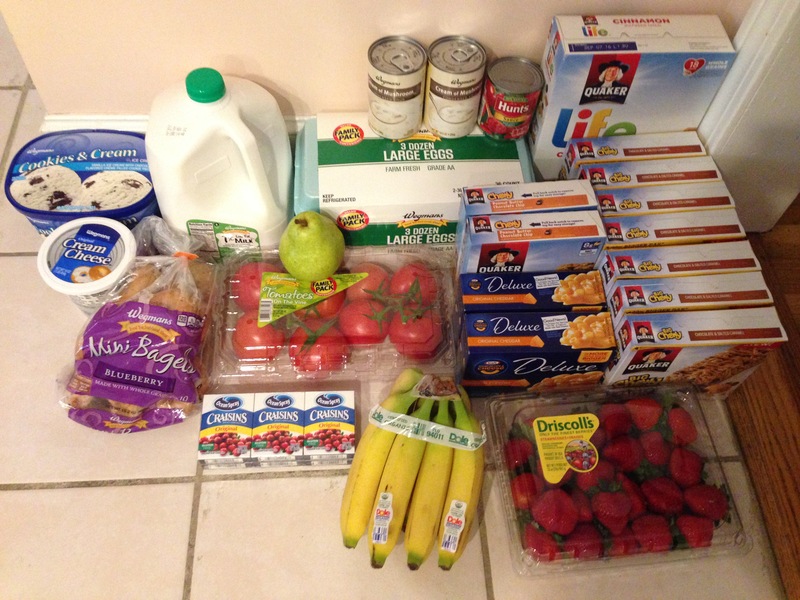 Since we emptied the fridge (largely) before going on our trip, I had some restocking to do this past week. First I went to Wegmans. Nothing particular out of the ordinary here, except that the bananas are organic. I had a coupon for $1 off organic produce and while I would have preferred to use it on strawberries (couldn’t find organic ones) or tomatoes (price difference was too high), the bananas made the most sense. So I got this batch for $0.19. We can’t tell the difference other than they spoil very fast. 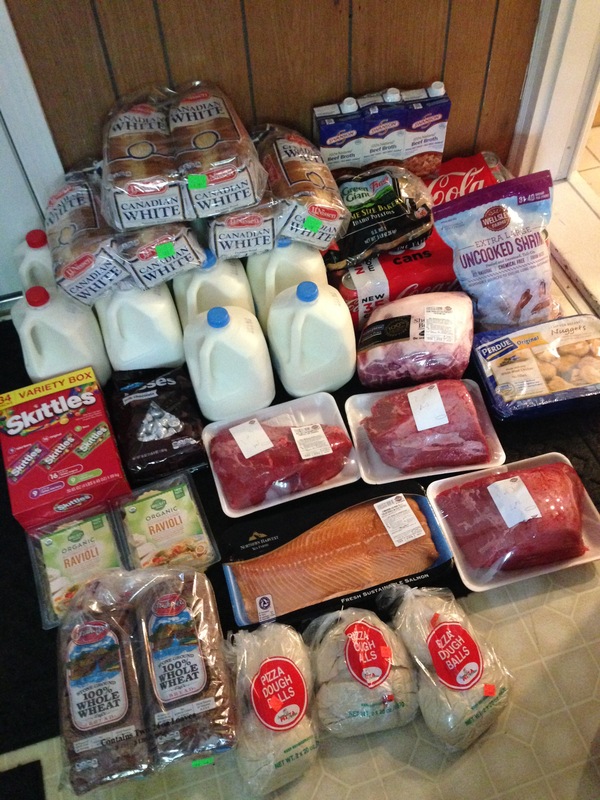 The next day I went to BJs. Again, most is self explanatory and things you’ve seen before. The Skittles are for Halloween; the Hershey’s kisses are for winter baking. There are three beef roasts because I bought a primal and had them break it down and trim it. I’m actually going to break it down further to make one batch of beef stew this week, and one batch of beef chunks I’ll freeze for beef stew sometime in the future. Then, over the weekend I took the older four boys to the farm stand for pumpkins and the hay maze. Plus we got some in season produce. Obvious exception is the bananas since they don’t grow around here. This farm stand is a big one, open year round, and imports produce from all over. The green beans are no longer local either (sigh); they’re from Georgia. 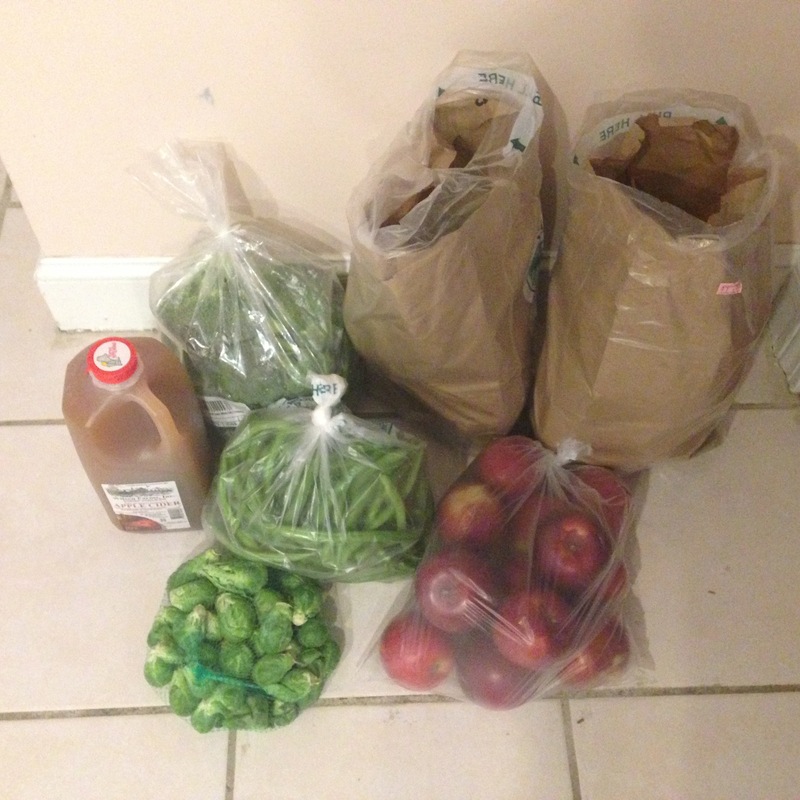 The two bags of green are broccoli and green beans. There is some local apple cider. The two paper bags are seconds bananas. I took them out and sorted them in the second picture. Those on the left could be eaten if its done fast enough. 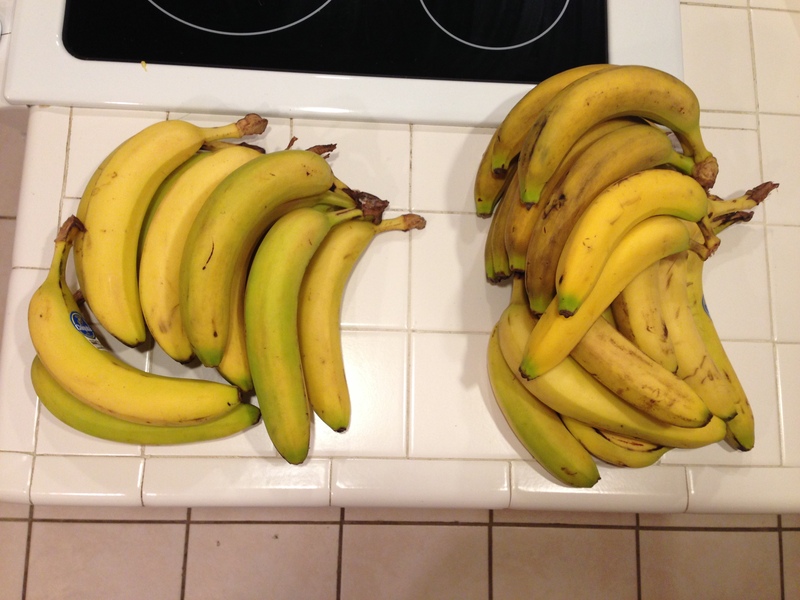 Those on the right will be turned into banana bread more quickly. It turned out there were 30 bananas at $3.00, or $0.10 per banana, which is pretty good. Here’s the menu plan for this coming week.